The 14 November being Children’s Day was celebrated with a lot of enthusiasm in HIM International school. The 14 November being Children’s Day was celebrated with a lot of enthusiasm in HIM International school. After spending half the day studying they were shown a documentary on Pandit Nehru in the M.P. Hall. After that students enjoyed a few fun games organised by the school. Pin Ball and Balloon Pyramid drew maximum crowds. 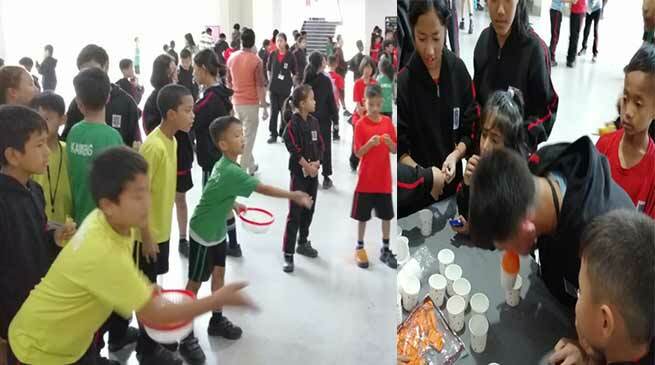 The children were excited to have won so many prizes and a chance to be involved in fun-filled activities. It was a pleasant surprise and a welcome change from the usual routine. As a grand finale, a students v/s teachers cricket match was conducted by the sports department. Rules were broken without any inhibitions but no one minded as everyone involved had tons of fun. The students were served their favourite snacks and it turned out to be a day to remember for everyone.